Active Stance: Minimalist footwear: A risky switch for runners? Barefoot simulating footwear is proving a popular, though controversial, alterative to traditional running shoes. 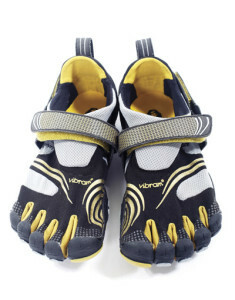 Last month, barefoot-simulating footwear manufacturer Vibram USA was named the defendant in a class action suit, with the plaintiff alleging the company made misleading and scientifically unproven claims about benefits of its FiveFingers running shoes (see “Class action lawsuit alleges deceptive claims about barefoot-simulating shoes”). The complaint also noted the company has been highly successful with its marketing approach, reporting that sales of its minimalist footwear have increased 300% a year since 2006 and were approaching $70 million in 2011. Researchers have examined the mechanics of running barefoot or using barefoot-simulating footwear versus using a standard running shoe. However, the question of whether these types of footwear and running styles are associated with a reduced risk of running-related injuries is still unsettled. Understanding the benefits and limitations of this type of running starts with an understanding of the foot strike mechanics associated with running in traditional running shoes in contrast to running barefoot or in barefoot-simulating footwear. Practitioners should also be aware of possible risk factors for injury suggested by existing medical and biomechanical research that are associated with the increased popularity of barefoot-simulating footwear. Hasegawa et al6 classified rearfoot strike (RFS) as a running gait pattern in which the first contact of the runner’s foot with the ground is limited to the heel or the posterior third of the sole. Runners wearing traditional running shoes (shod runners) commonly adopt a RFS pattern.4 Because the majority of individuals run with a RFS pattern, the cushioned heel in the standard running shoe is designed to decrease plantar pressure in the heel in rearfoot strikers. Nearly 75% of marathon runners exhibited a RFS pattern at the 15-km mark in a recent study,6 which suggests this may be the most common foot strike pattern in this population. The majority of today’s commercial running shoes are specifically designed and manufactured for the runner with a RFS pattern.6 Therefore, it is possible for the shod runner to comfortably adopt a RFS gait pattern with minimal peak pressure values under the heel.4 However, the increased padding and cushioning associated with traditional running shoes relative to barefoot-simulating footwear can reduce the runner’s ability to monitor the shock and impact forces experienced on foot contact with the ground,7 which may contribute to lower extremity injuries such as tibial stress and exertional compartment syndromes. Research has demonstrated that runners who switch to running shoes equipped with different cushioning material (e.g., a harder material) compensate by changing their running technique to reduce shock and achieve a comfortable level of sensation during impact with the ground, an observable phenomenon that researchers have termed “shock setting.”7 It is reasonable to hypothesize that the same process can occur with a switch from standard to barefoot-simulating footwear. Gait and training adaptations are essential to combat the injury risk conferred by the increased stress in alternate locations of the foot that occurs when runners switch to barefoot-simulating footwear.13 Runners with a history of long-term use of traditional running shoes may develop a weak foot structure and reduced sensitivity,4,14 and this may contribute to injury risk if the runner decides to transition to minimalist footwear. Such footwear was implicated recently as the cause of injury in two experienced runners diagnosed with second metatarsal stress fractures; a switch to barefoot-simulating running shoes three to six weeks prior to injury was only change to their running routines.8 This supports the idea that simply changing footwear without adequate changes to gait mechanics or training volume may contribute to injury when transitioning to barefoot-simulating shoes. Studies indicate the majority of running-related injuries can be associated with training errors.15 The alterations in gait pattern and force attenuation associated with transitioning to barefoot-simulating footwear may affect experienced runners and novice runners differently. Compared with experienced runners, novice runners who have a running routine of minimal duration, frequency, and distance may be better able to adapt to a switch to minimalist footwear over an extended period of time as they progress at a moderate pace in their training. In addition, multiple studies have documented the effects of exertion and oxygen consumption of barefoot runners versus those using traditional running shoes.4,6,18,19 Squadron and Gallazzi4 reported that with barefoot-simulating footwear the runner required less oxygen consumption compared with individuals wearing traditional running shoes under identical conditions in which rate and distance remained constant. Despite the existing evidence, the role of footwear in injury prevention remains controversial. The variety of running shoes on the market is vast and ever changing. Running shoe technology has continued to advance year after year. Since every runner is different, there are guidelines that recommend finding a style of running shoe that fits an individual’s particular foot structure20 to reduce injury and enhance a comfortable fit. Barefoot-simulating footwear versus the standard running shoe has been an increasing topic of study in recent years; however, the matter of which running condition is better for today’s runners is still controversial. Some literature supports improvements in running technique and oxygen consumption with minimalist footwear and many runners are trending toward this alternative. However, when making a decision to switch from the standard running shoe to barefoot-simulating footwear, novice and experienced runners alike should also consider appropriate changes in their gait mechanics (e.g., adopting a FFS pattern) and training program (e.g., significant reductions in volume and intensity followed by gradual progression back to the individuals baseline levels) to avoid excessive overload and the risk of injury. Erik M. Haniuk, BS, is a research assistant in the Department of Orthopaedic Research at Keller Army Community Hospital in West Point, NY, who will matriculate at The Ohio College of Podiatric Medicine this fall. LTC Steven J. Svoboda, MD, is director of the John A. Feagin Jr. Sports Medicine Fellowship; Karen Y. Peck, MEd, ATC, is a research analyst in the Department of Orthopaedic Research; Kenneth L. Cameron, PhD, MPH, ATC, is director of orthopaedic research for the fellowship; and LTC Brett D. Owens, MD is chief of orthopaedic surgery at Keller. De Wit B, De Clercq D, Aerts P. Biomechanical analysis of the stance phase during barefoot and shod running. J Biomech 2000;33(3):269-278. Divert C, Morineax G, Baur H, et al. Mechanical comparison of barefoot and shod running. Int J Sports Med 2005;26(7):593-598. Nearman S. The science of barefoot running. AMAA Journal. Spring/Summer 2011. Robbins SE, Gouw GJ. Athletic footwear and chronic overloading: A brief review. Sports Med 1990;9(2):76-85. Giuliani J, Masini B, Alitz C, Owens BD. Barefoot-simulating footwear associated with metatarsal stress injury in 2 runners. Orthopedics 2011;34(7):e320-323. Chuckpaiwong B, Cook C, Pietrobon R, Nunley JA. Second metatarsal stress fracture in sport: comparative risk factors between proximal and non-proximal locations. Br J Sports Med 2007;41(8):510-514. Griffen NL, Richmond BG. Cross-sectional geometry of the human forefoot. Bone 2005;37(2):253-260. Iwamoto J, Takeda T. Stress fractures in athletes: review of 196 cases. J Orthop Sci 2003;8(3):273-278. Weinfield SB, Haddad SL, Myerson MS. Metatarsal stress fractures. Clin Sports Med 1997;16(2):319-338. Divert C, Baur H, Mornieux G, et al. Stiffness adaptations in shod running. J Appl Biomech 2005;21(4):311-321. Siff MC, Verkhoshansky YV. Supertraining. 4th ed. Denver: Supertraining International;1999. Hreljac A. Impact and overuse injuries in runners. Med Sci Sports Exerc 2004;36(5):845-849. Henry D. Barefoot running has become trendy, is it safe? The Beaumont Enterprise. 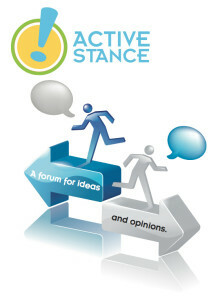 March 9, 2012. http://www.beaumontenterprise.com/news/article/Barefoot-running-has-become-trendy-is-it-safe-3393253.php. Accessed April 10, 2012. Gabbett TJ. Reductions in pre-season training loads reduce training injury rates in rugby league players. Br J Sports Med 2004;38(6):743-749. Burkett LN, Kohrt WM, Buchbinder R. Effects of shoes and foot orthotics on VO2 and selected frontal plane knee kinematics. Med Sci Sports Exerc 1985;17(1):158-163. Hanson NJ, Berg K, Deka P, et al. Oxygen cost of running barefoot vs. shod running. Int J Sports Med 2011;32(6):401-406.
ePodiatry.com. Running shoes. Available at http://www.epodiatry.com/running-shoes.htm. Accessed December 2011. Knapik JJ, Swedler DI, Grier TL, et al. Injury reduction effectiveness of selecting running shoes based on plantar shape. J Strength Cond Res 2009;23(3):685-697. 2 Responses to Active Stance: Minimalist footwear: A risky switch for runners? Thank you for this excellent article comparing the mechanics of minimalist vs traditional footwear in running. I look forward to sharing some of these pearls with my patients who are runners or inquire about trying this popular footwear. I beg to differ. I have been running barefoot on blacktop since early 2010 and it is not only realistic and safe, but it has also helped me fine-tune my mechanics. The misconception is that barefoot running should be done in the grass or on artificial turf. I have run on these too, but running barefoot on blacktop is actually much easier and safer than running on grass.